Consumers are expressing a higher preference for environmentally responsible products and services, so companies may need to improve their sustainable sourcing initiatives, according to a recent study from Yale University. Half of all Americans now consider environmental impacts before buying a product, meaning sustainability could have large implications for companies that are not practicing it. People are more likely to consider whether a product can be recycled, if it harms the environment, uses many resources or contributes to global warming. The majority of American consumers have bought locally bought or produced food at least once in a while in the past year, and 40 percent have purchased organic food. Consumers tended to favor fuel-efficient vehicles. Nearly one-third of Americans said they had punished or rewarded companies for sustainability by purchasing or not buying products. 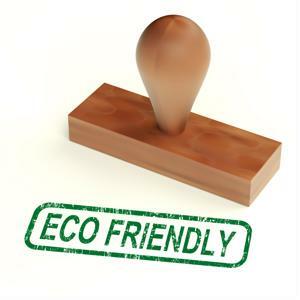 In addition to not purchasing unsustainable products, environmentally conscious consumers would respond by telling friends and family about ecologically irresponsible corporate behavior. Some shoppers would even write online reviews and lack of sustainability. With the growing preference for sustainable product sourcing, companies need to take steps to improve efforts or risk losing customers, Business 2 Community stated. Corporate sustainability requires long-term planning to create real change. Organizations should be realistic about the timeframe needed for significant reductions of environmental impacts. Some sustainability efforts may be concentrated in the office, and small changes can reduce costs and a firm's carbon footprint. For environmentally responsible business policies to take off, all employees in the organization need to contribute, the source said. Some major corporations like Starbucks, Google and eBay are undertaking high-profile corporate sustainability efforts, and companies that do not keep up with consumer preferences could place themselves at a competitive disadvantage.